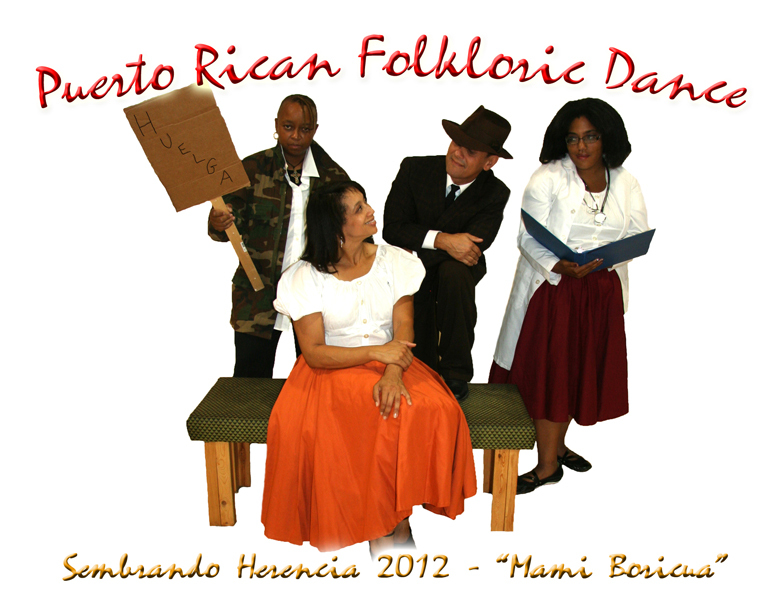 In December 2012, Puerto Rican Folkloric Dance debuted our newest original musical, Mami Boricua. It was a tribute to the hardworking women who contributed to improving working conditions in the garment industry district on NYC in the 1950s. In those days, many of our mothers and grandmothers sewed to make ends meet in New York City in garment district factories, in sweatshops, and from their homes. Through this play based in true history, we enjoyed entertaining and powerful scenes of Boricua women who led and contributed to efforts that improved working conditions, wages and benefits for seamstresses and needleworkers in New York City and in Puerto Rico. Enjoy the history behind the musical. In our musical, our main characters migrate to New York City searching for economic opportunity. Puerto Ricans began (im)migrating to New York as early as the mid 19th Century when Puerto Rico was still a Spanish Colony. The largest wave of migration to New York came in the 1950s in what became known as "The Great Migration" with the advent of affordable air travel. For $52.50, one could take an 11pm night coach to New York City -- a crammed, frightening, nauseating, unpressurized flight that was jounced around the air like a ship in a storm-tossed sea. Puerto Ricans eager for economic opportunity were attracted by U.S. factory owners and employment agencies that had begun recruiting heavily on the island. In 1953, Puerto Rican migration to New York reached its peak when 75,000 people left the island. By 1960, the United States census showed that there were well over 600,000 New Yorkers of Puerto Rican birth or parentage. Estimates were that more than one million Puerto Ricans had migrated during this time of the Great Migration [8,9,10,11,16]. The first Puerto Ricans to "immigrate" to New York was during the mid 19th century, when Puerto Rico was still a Spanish colony. But the largest wave of migration came about in the late 1950s in what became known as "The Great Migration". In 1948 the United States government began Operation Bootstrap, ambitious projects which invested millions of dollars into the Puerto Rican economy, in order to transform it from a rural agricultural society (sugar cane plantations) into an industrial working class (manufacturing). Unfortunately, not enough jobs were being created to replace the number of jobs lost in agriculture. Puerto Ricans eager for economic opportunity were attracted by U.S. factory owners and employment agencies that sent agents to recruit workers. The demand for workers in New York City was so great that the Mayor Robert Wagner publicly stated in 1953 that he and all New Yorkers would welcome any Puerto Rican willing to work. So, people left the Island in search of a better life. With the advent of affordable air travel, for $52.50, one could take an 11pm night coach to New York City -- a crammed, frightening, nauseating, unpressurized flight that was jounced around the air like a ship in a storm-tossed sea. In 1953, Puerto Rican migration to New York reached its peak when 75,000 people left the island. By 1960, the United States census showed that there were well over 600,000 New Yorkers of Puerto Rican birth or parentage. Estimates were that more than one million Puerto Ricans had migrated during this time of the Great Migration. Women played an important role in the effort to unionize the factories and win better conditions for garment workers in the first half of the 20th century. Puerto Rican women held a special place in the early settlements of Boricuas in New York, by creating communities that were rooted in traditional Puerto Rican family values in the middle of an alien environment. They established settlements where customs and institutions mirrored those from back home. Women were pivotal in retaining Puerto Rican cultural heritage through the transmission of language, customs and traditions to the new generation, their families and communities. They often provided links between the Island and mainland communities for new migrants coming into the community from La Isla. Over factory sewing machine, across stoops, in bodegas, or over cafe in their own homes, women helped newcomers understand the intricacies of mainland culture and get connected to jobs, housing, traditional medicines, schools, churches, best places to shop. In the 1950s, the garment industry in New York was booming. Among the working class, many home-centered business ventures were invented in response to real economic need. Among these, piecework ranked as the most popular of home enterprises, including hand crafts (jewelry making, home decorations), needlework (embroidery, crochet), and sewing garments. Some of these businesses ventures brought extra cash into the household, as women took on projects to do at home, outside of normal working hours. Some women worked from home in-lieu of having a traditional job. While these women were horrendously underpaid, most were happy to have the income, as any income was better than none, especially among women whose young children necessitated work-at-home convenience. As children matured, stay-at-home moms were often able to transfer their skills to the factory. Some would even work their way up to position of "plant-lady". In addition to providing economic means, piece craft and needlework provided a setting for social interactions. Almost exclusively a feminine world, multiple generations, young and old would often gather in someone's home and work together. Crafting traditions were transmitted to the new generation as curious children were encouraged to participate. Meanwhile back in the garment district, Puerto Rican women were hired by the thousands as sewing machine operators, one of the lowest paying jobs in the trade during this timeframe, thanks to competition overseas with available laborers who could do the work for only a fraction of the cost. By the 1950s, although many of our mothers were already experienced needleworkers, clothing production was changing; the garment industry no longer needed such fine skills. Seamstresses who used to make whole garments found themselves sewing only sections in assembly-line fashion, and as a result, receiving less pay for less skill. While the work was monotonous, the work was simple, and they could earn more money if they worked fast. Many Puerto Rican women looked for union shops where they expected to get protection, benefits and higher wages. During the fifties, labor unions were stepping up their organizing, and many of our mothers and grandmothers led that effort. Some became union chairladies and organizers, and sometimes the chairlady had the power to stop a shop with a strike! [ These unformatted articles are taken from Dr. Maynard's research notes. Rican women in the garment industry. Dressmakers union (Dressmakers Local 22). garment workshops in great numbers. held leadership positions on the Executive Board and various committees. unskilled and semiskilled jobs in the industry. and windows that were all painted green so no one would be distracted by sunlight. which was mostly composed of Puerto Rican men. economic challenges due to globalization. 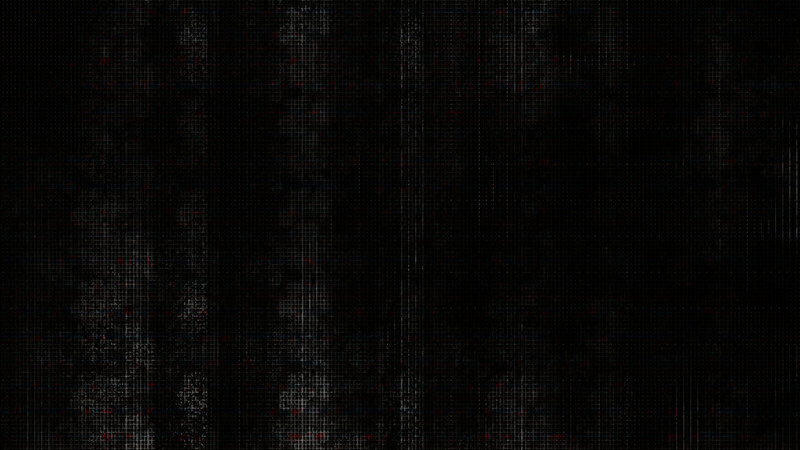 There was a loss of jobs in the city. members in New York and six nearby states who joined the strike in solidarity with NY. The success of the strike was going to depend on the participation of everyone. speaking workers who volunteered to serve on various strike committees. Life, Adelphy University, March 08, 2011. Press, Jun 30, 2006 , pp 348-349. R. Cház, William P. Clements, Center for Southwest Studies, p. 121, 2008.
meeting hall, March 15, 1958. Unite Here! Workers in US & Canada,   Timeline History. Under the Fair Labor Standards Act, 1938  2009. 1950s time frame of this story. this way Creator(s): Delano, Jack, photographer. Date Created/Published: 1942 Jan.
stitching are being done for a firm in Mayaguez and will eventually be sold in New York. Jack, photographer Date Created/Published: 1942 Jan.
Partido Estadista Republicano y fue la ú mujer legisladora durante dos cuatrienios. was one of the leaders of the Puerto Rican needlework industry in the early 20th century. first woman in all of Latin America, to be elected to a government legislative body. History of Women in America. some strikers who stoned the workshop of Arcelay. legislation for seamstresses and common workers. ¿Quéeráue pasaráue el taller de Mamery pide gente pa trabajar. Ay, no nos da pana. magia de la costura obrera. Las empleadas siempre estaban quejáose, porque ganaban poco. MaríLuisa Arecelay y a John Vidal. the sewing workers. The employees were always complaining, because they earned little. the Mamery family, Maria Luisa Arecelay and John Vidal. texto original para Herencia Latina. Alexander Street Press. (subscription required). p. 59, La Editorial, UPR, 1993. "Puerto Rican migration to New York,"
Kal Wagenheim and Olga Jimenez de Wagenheim, Markus Wiener Publishers, 1994. Petra Press, Marshall Cavendish Corp., 1996. Virginia E. Sancheck Korrol, University of California Press, 1983. Pre-Columbian Times to 1900," Markus Wiener Pub., 1998. Morales Carrion, Arturo, "Puerto Rico:  A Political and Cultural History,"
W. W. Norton & Company, Inc., 1983.